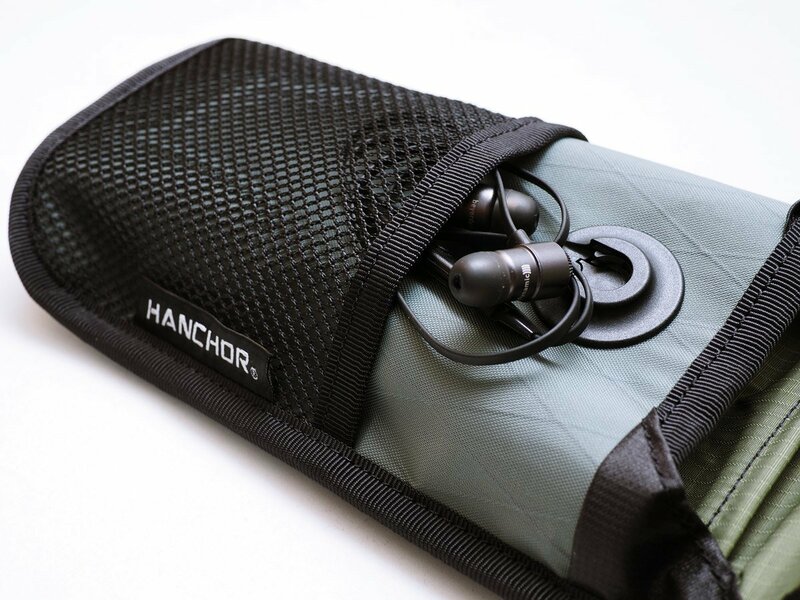 HANCHOR designed CELL multifunctional phone bag with adventure traveler’s need in mind. 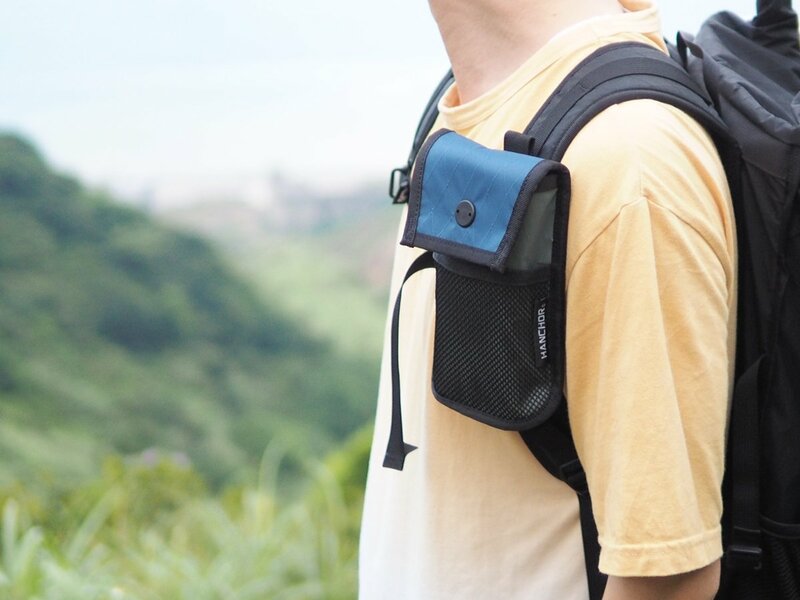 It’s not only built for harsh outdoor environment but also easy to use for travel and everyday life. 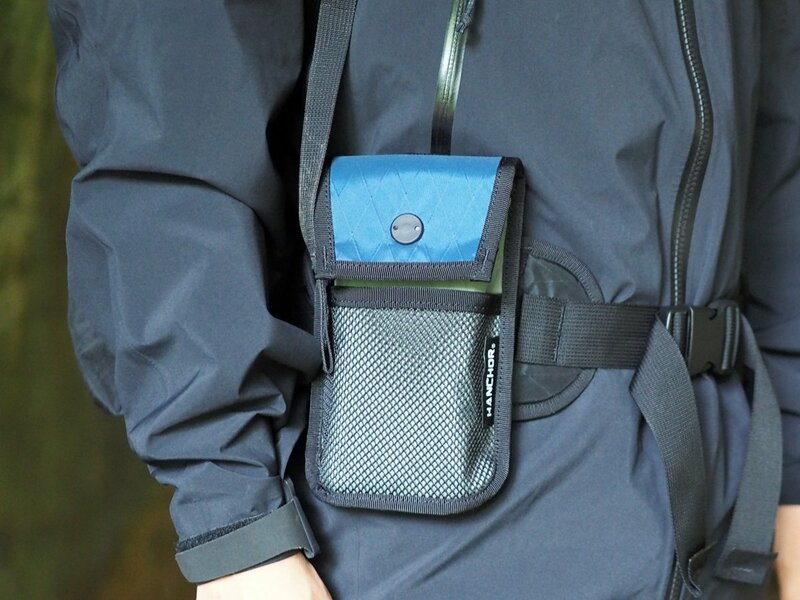 This is a go-to phone bag you can use from urban to outdoor. 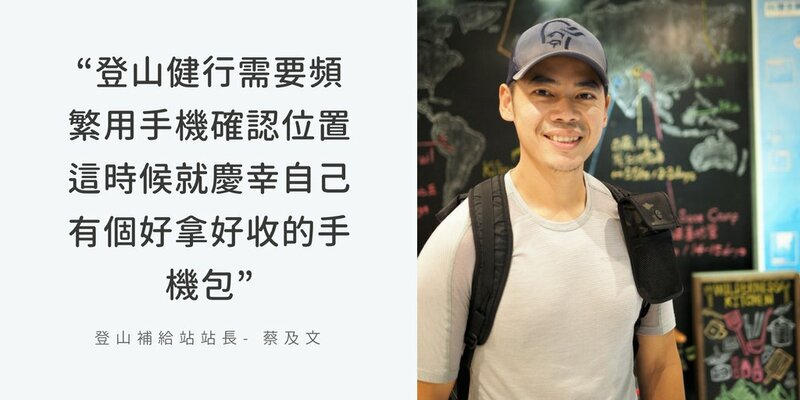 ”A Good design should solve problems! People of this generation always carry cell phone with them. 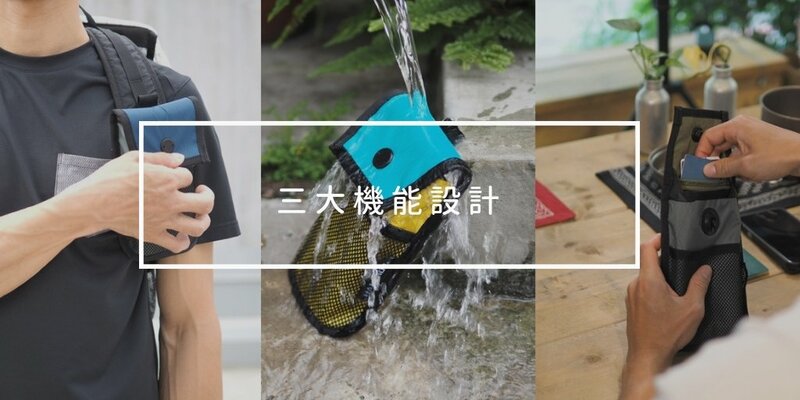 So, what is the best case to store our smart phone? " 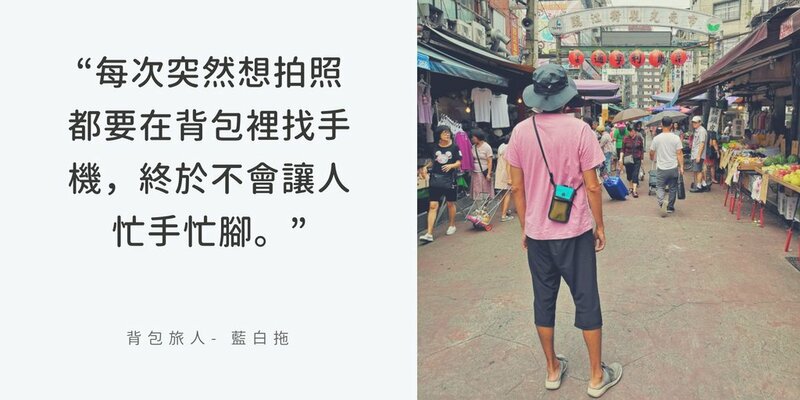 The smart phone is not only a phone anymore. 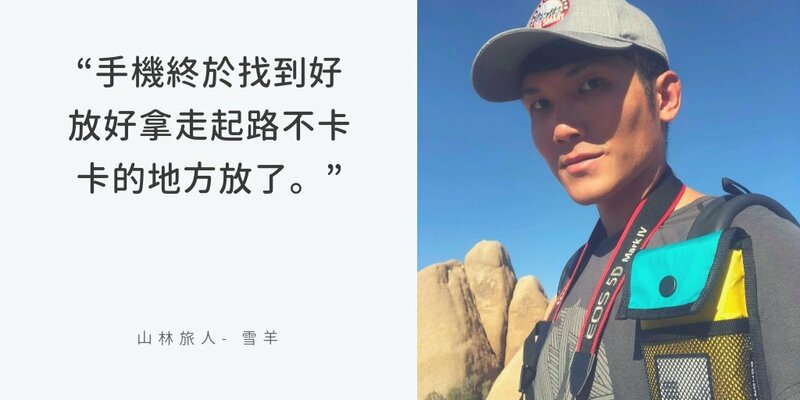 We use it more and more frequently, and its size is getting bigger and bigger. 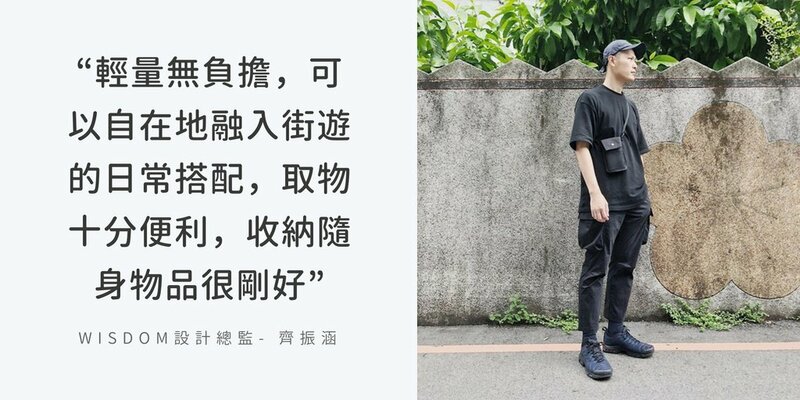 Thus, it’s not comfortable anymore to just squeeze it in a pants pocket, and the large glass screen also need more protection. So, our goal is to provide your device a best home with great accessibility and adequate weather or shock protection. ✔ Quick magnetic fastener! Get and secure your device in one second with one hand. 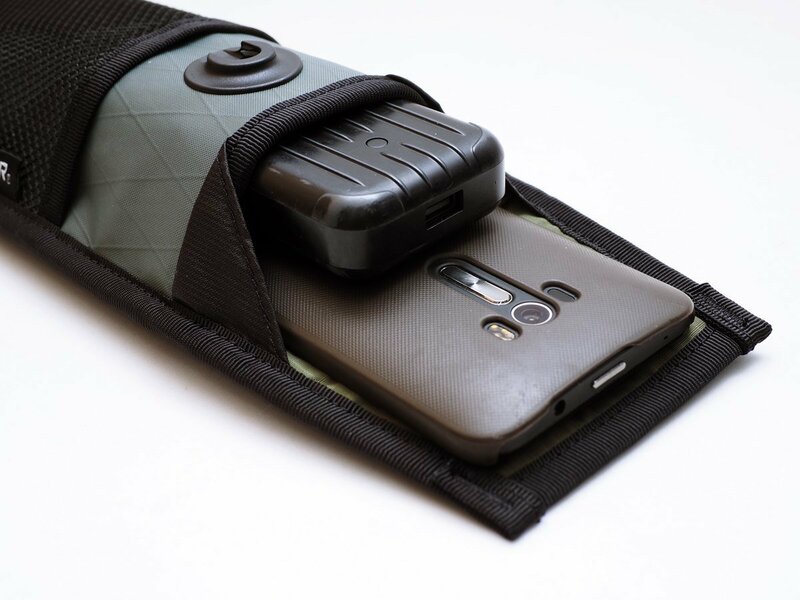 CELL adopts pantented magnetic fastener. The strong magnets make them easy to close and ensures a continuously high locking force. 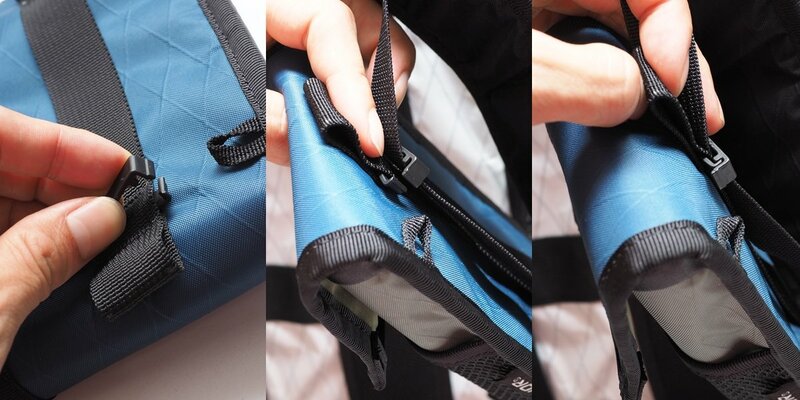 Weatherproof stitching/construction technique, outer seam binding, and side collars around the lid make CELL be able to deal with changing weather. 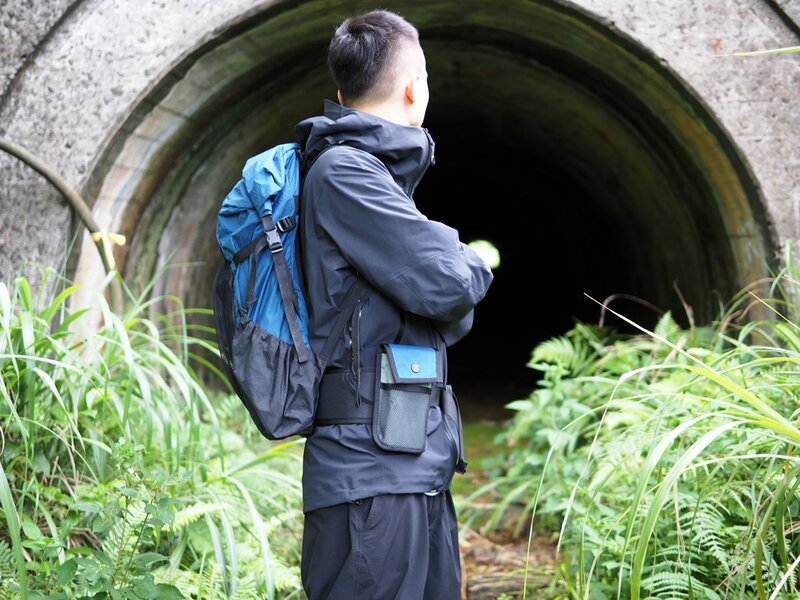 NOTICE :CELL is built with waterproof fabric and weatherproof stitching/construction technique. However, they are not drybags and can not be submerged into water. CELL is not only built for placing your mobile only, but also able to store your cards, passport and cash. 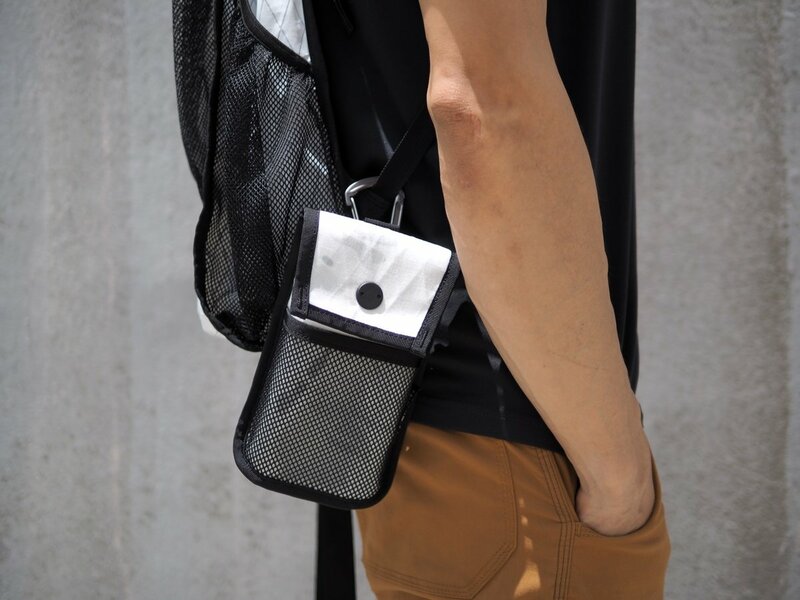 Outer mesh pocket is a good fit for small stuff , such as ticket or earphone. 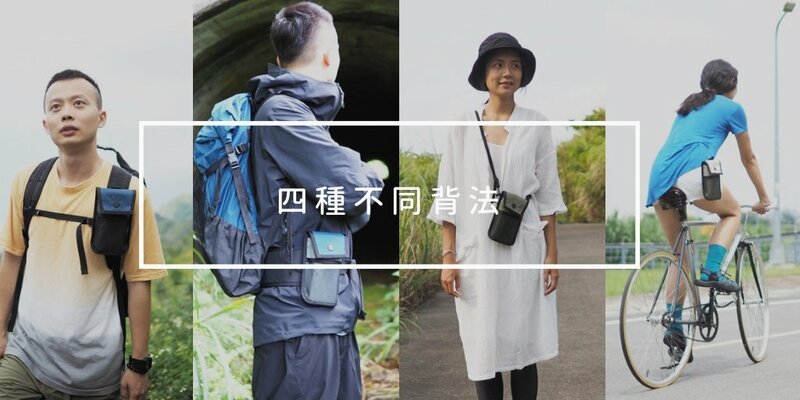 Some people use CELL to carry small cameras or GPS, it's convenient for outdoor activities. The main compartment of CELL is padded with 2mm foam. The inner space is about 10cm width and 17cm height. It is big enough to store most models of the mobile phones, GPS and radio. 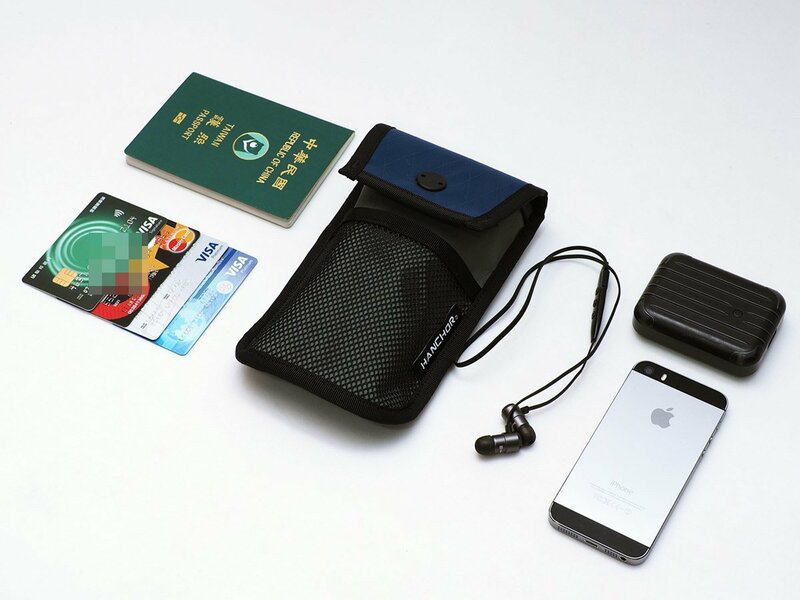 Mesh pocket is a good place for changes of earphone or tickets. 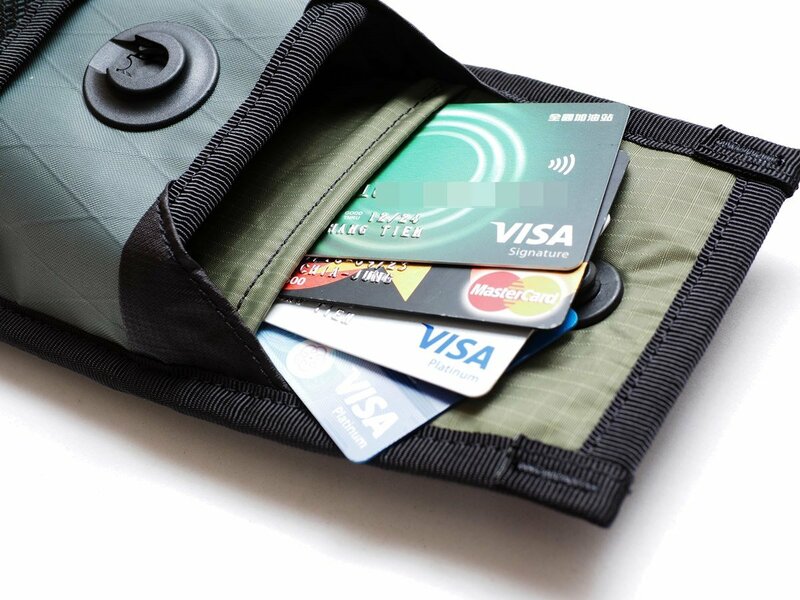 Inner anti-theft pocket is a good space for cards, passport, or cash. 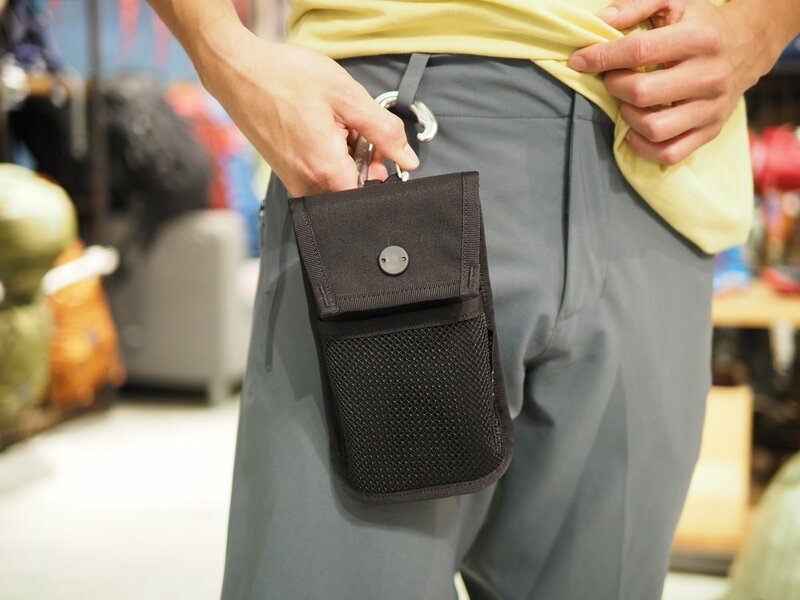 It’s a compact shoulder bag allows you to carry your device and other essential stuff. 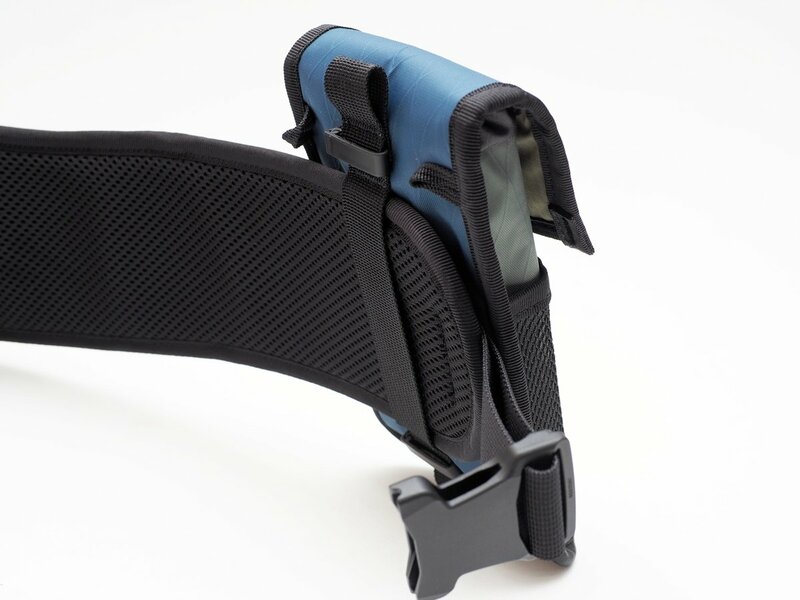 The length of the shoulder strap is quick adjustable and removable. There is a daisy chain sewed on the Back of CELL. 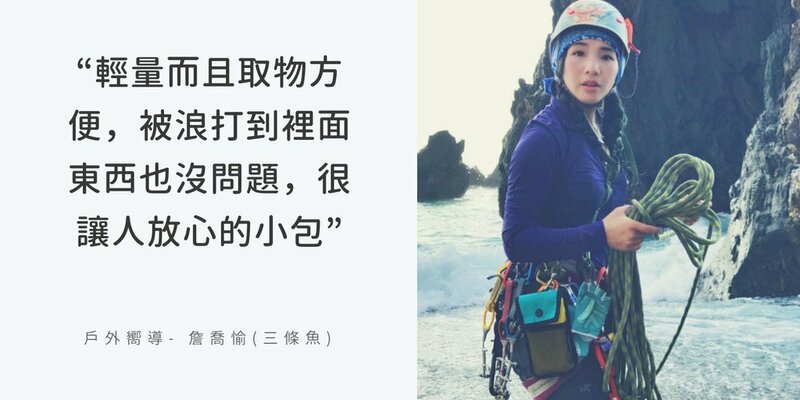 It’s easy use a carabiner to clip CELL onto the belt loop of your pants, belt, and the lower webbing of backpack shoulder straps. 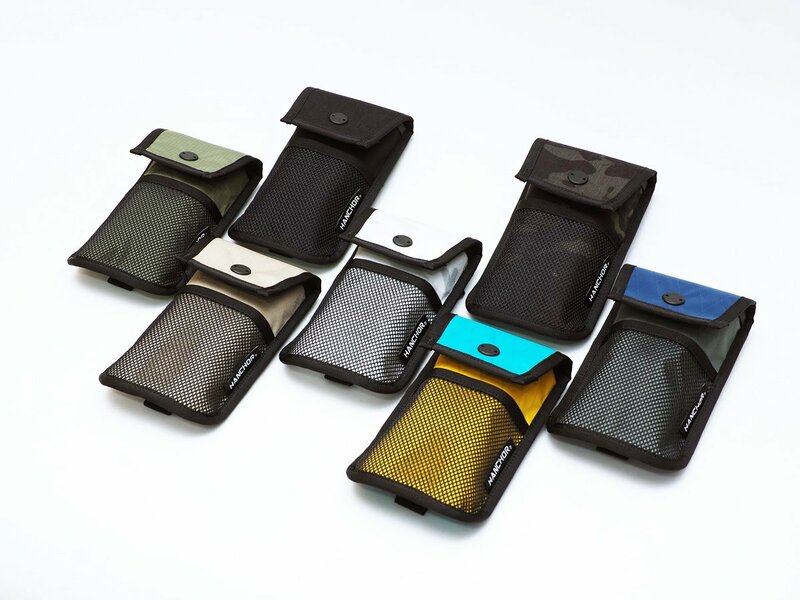 It provides quick access and clean look whether when you are walking on the street or riding on a bicycle. 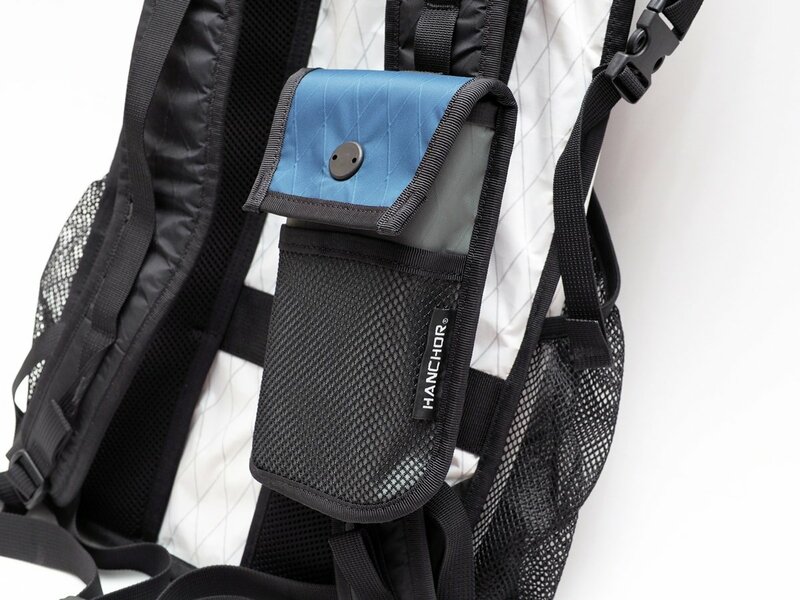 We leverage lightweight buckles to fasten CELL on shoulder straps of your backpack. 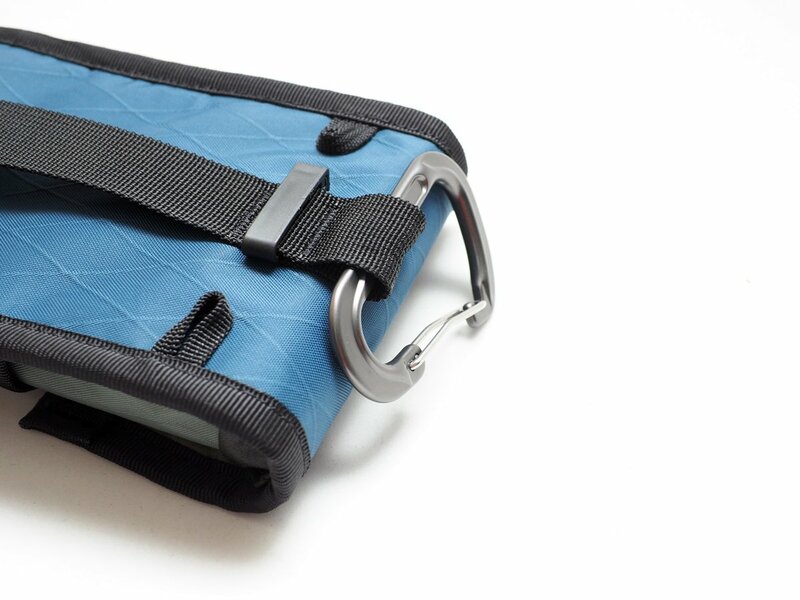 (It is compatible with webbing on shoulder straps no wider than 1 inch.) 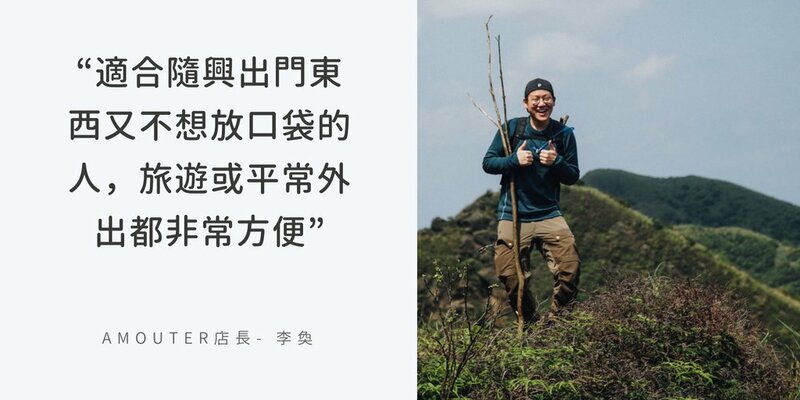 In this mode, if you apply two buckles on CELL, it provides extra stability while moving fast, especially suitable for hikers on the trail. 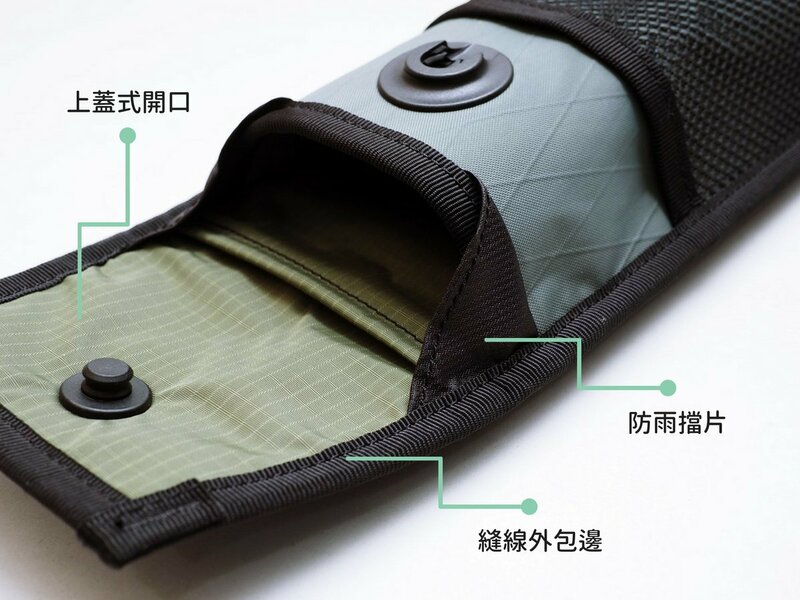 The daisy chain webbing on the back of CELL has a 11cm large interval designed for inserting whether pants belt or backpack hip belt to make it a quick access belt pocket. 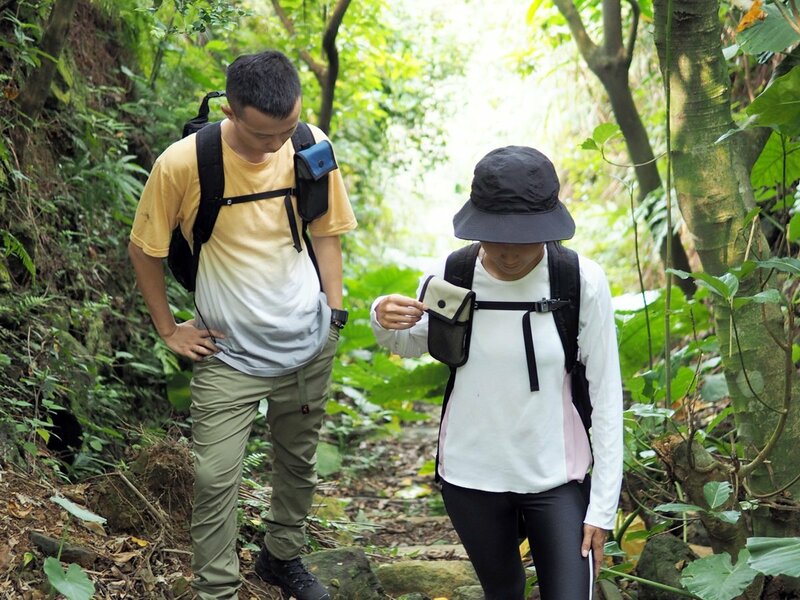 * It is also compatiable with other backpack hipbelts no wider than 11cm of the waist belt of pants. Step 2 Clip the buckles of the shoulder straps and it is ready to use. Step 2 You could then clip your CELL onto the belt loop of your pants, belt, and the lower webbing of backpack shoulder straps. 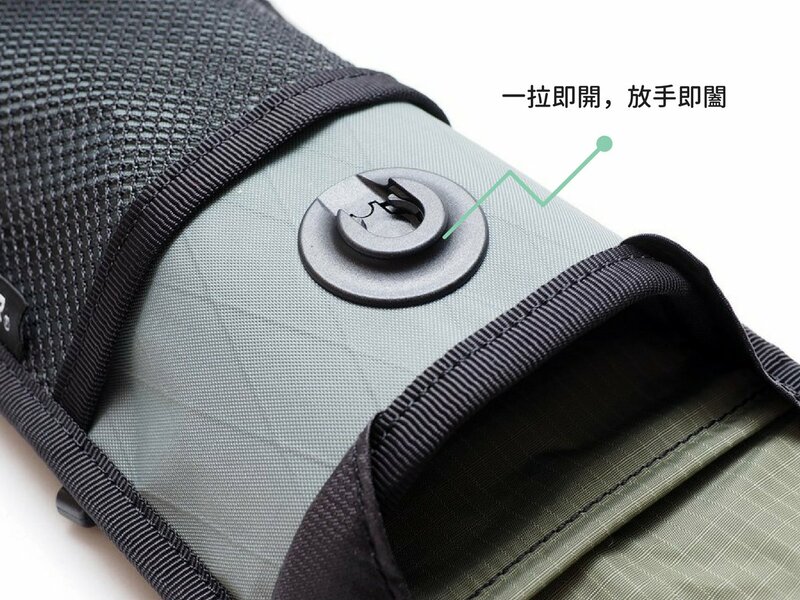 NOTICE: If your backpack has sternum strap, we suggest that you move the sternum strap in between the two clips of CELL. 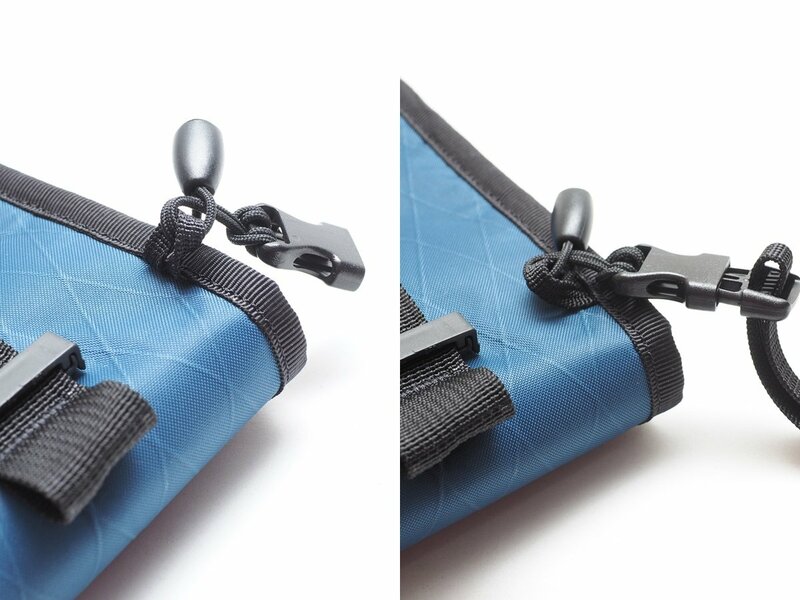 NOTICE: It is compatible with webbing on shoulder straps no wider than 1 inch. Step 2 Ready to use as a hipbelt pocket. 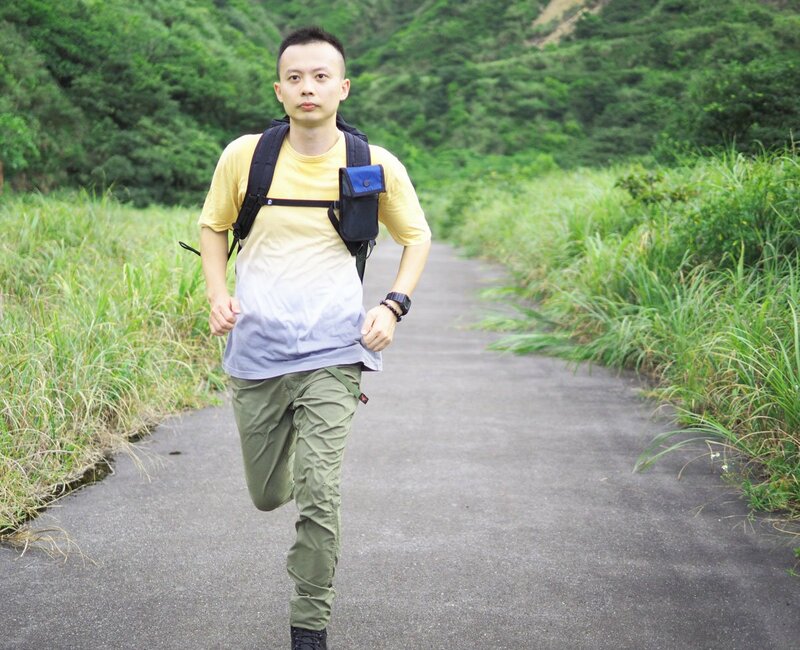 * The daisy chain webbing on the back of CELL has a 11cm large interval designed for inserting whether pants belt or backpack hip belt to make it a quick access belt pocket.